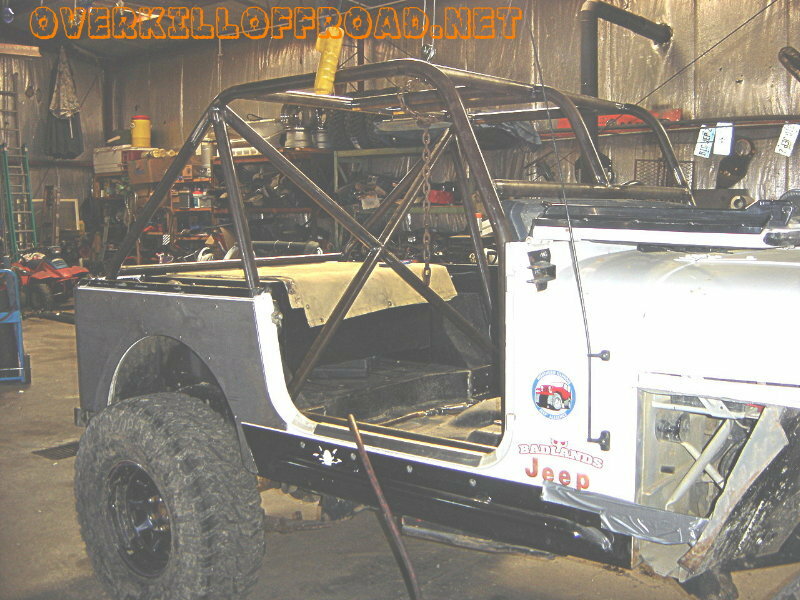 A project at OverKill Off Road, Jeff's Jeep. 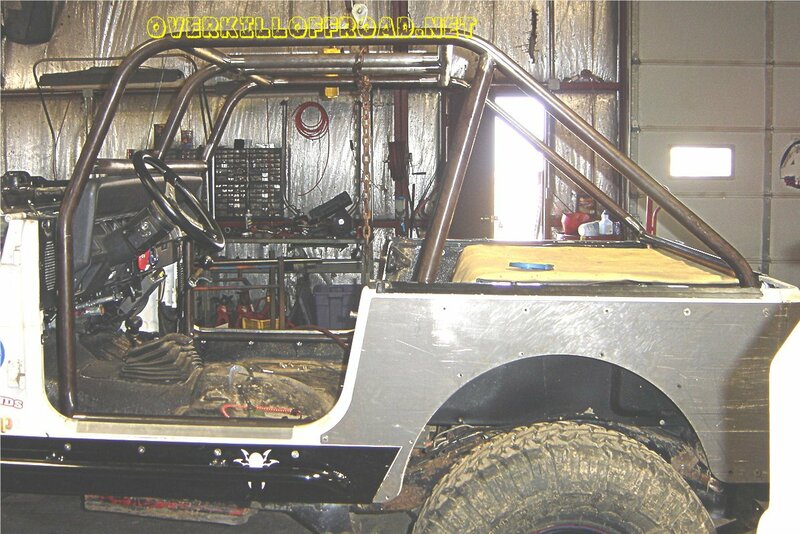 We have installed crusher corners, tube fenders, nerf bars and roll cage with new seat tie-in's. This Jeep has been back. 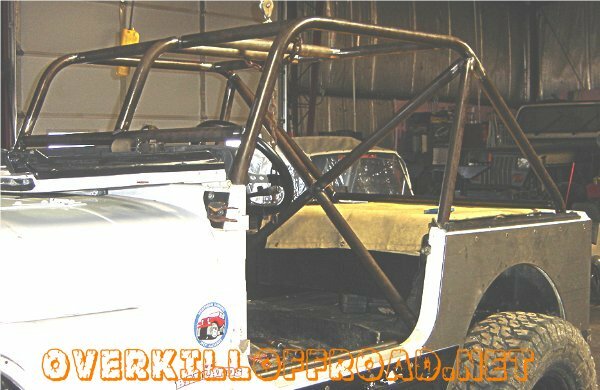 Last Summer (2007) the owner had this Jeep on it's side and taught it to do backwards summersaults! 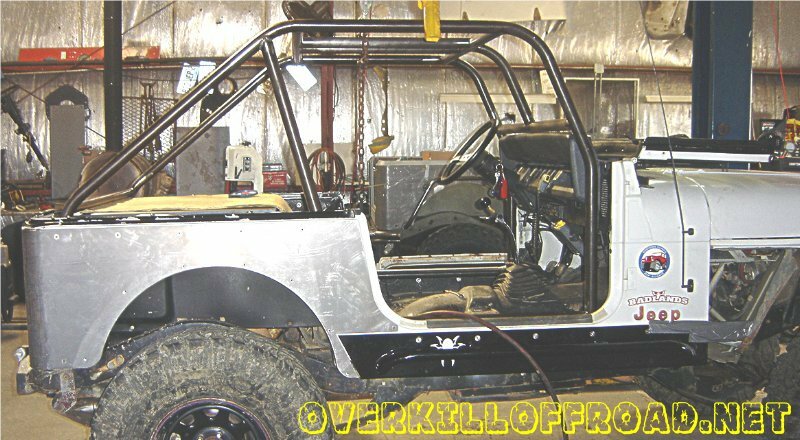 The occupants were basically okay but now upgrades are in the works. 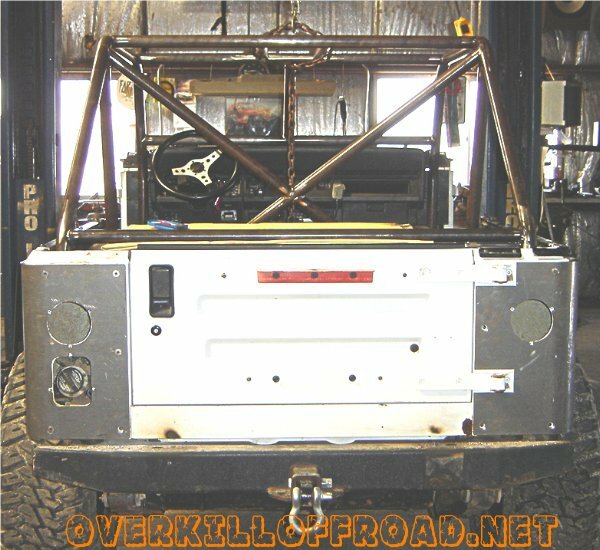 Tube Fenders, Crusher Corners and Nerf bars are on.